Day trips - seaside’s, museums, historical land marks etc. 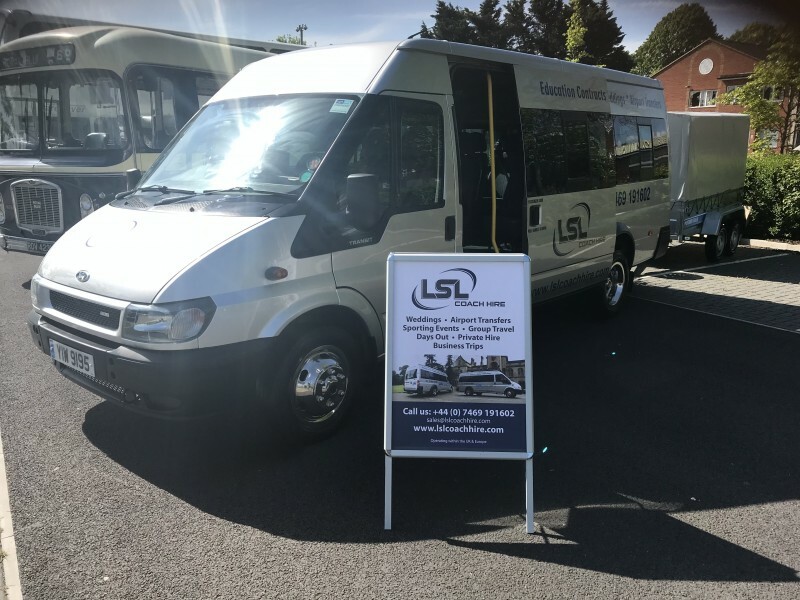 LSL Coach Hire currently holds a International licence. "The journey was very successful! The vehicle was nice and clean and the driver was lovely! I would definitely recommend." "We had a smooth trip from start to finish including pick ups and drop offs. The driver was smart, professional and punctual. The vehicle was comfortable and clean. The drive itself was comfortable too. Have already recommended the company. Thank you." "Great service from start to finish! Very accommodating and at such reasonable prices. Thanks very much!" "Jamie was a great help to us to make sure we could get 60+ people home at the end of our wedding. He stepped in after another company had let us down and was communicative, reliable and helpful in getting everyone on the right bus at the right time. Would definitely recommend!" "Jamie arrived on time, smart and helpful. Coach clean and comfortable with air conditioning which we needed. Would highly recommend this company." "Jamie was fantastic, absolutely ideal for driving a stag-do out of Bristol for a few hours. The van was great and Jamie is a great guy. Highly recommend"
"Excellent service , on time and safe journey. The driver was very smart , polite and friendly and very helpful. The vehicle was very clean and comfortable." "Jamie was a really nice guy who helped me out when another pulled out last minute. He has great customer service and really pulled out the stops to help me and friends. I can't recommend him enough. Vehicle was lovely and clean too"
"Great Journey on time, Driver was very smart and polite,the vehicle was immaculate and a credit to the operator *****"